Lambda Research Corporation is excited to invite you to one of our extensive training courses on our TracePro product. We strongly recommend students take or have taken in the past, the Introduction two-day course before moving on to the more advanced class. Please contact us if you have any questions on these courses. A student taking all four days of training will leave with extensive knowledge of TracePro and its features and capabilities, and be ready to use that knowledge on a daily basis. Please note that the Introduction to TracePro course should be considered a pre-requisite for the third and fourth days of training. This course is an excellent option for users who have little or no experience with TracePro, as well as long-time users. The feedback we receive from this training is that everyone learns something new. We will cover all aspects of TracePro during these two days. 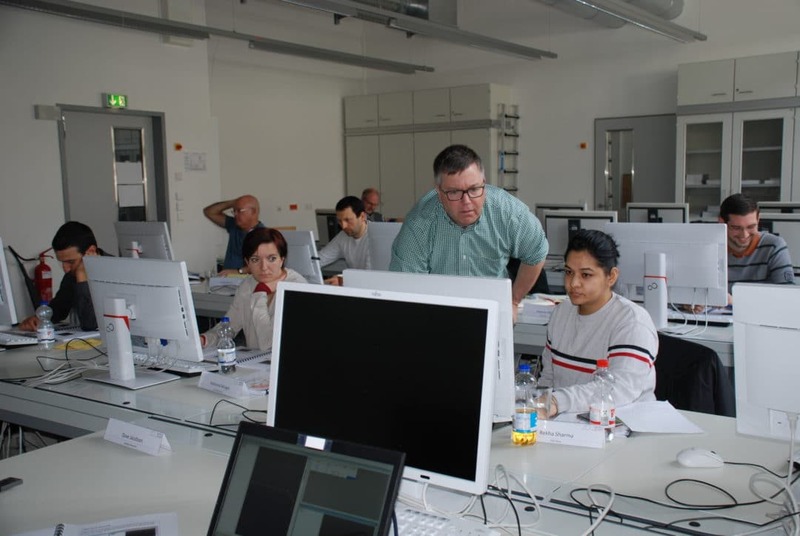 In the first day of this two-day course, we will develop a TracePro model from beginning to end, starting with importing, defining, and modifying the geometry, then applying properties, defining sources, running the ray-trace, and analyzing the results. Day two will focus on more advanced features in TracePro like custom property creation, the macro language, importance sampling, advanced ray-trace options, and the TracePro utilities. The first day of this intensive hands-on course will cover the theory behind optimization and then provide a full overview of the 3D Interactive Optimizer available in TracePro. All aspects of the optimization process, including creating the geometry, applying properties, setting up sources, and defining optimization targets will be addressed. After that we will work through several optimization examples featuring lenses, reflectors, and light guides. The second will cover more advanced topics in the TracePro optimizer including using the Scheme macro language to expand the capabilities of the optimizer. Additional hands-on examples will be presented including tolerancing with the optimizer and using the optimizer to select the best surface and/or material properties to meet a user-defined goal. Classes will be held at the Lambda Research Corporation headquarters from 9:00 am to 4:30 pm each day. Directions will be provided on request. Tuition includes all materials, individual use of a computer, and lunch. Please notify your sales representative if you have any food allergies or require a vegan or vegetarian lunch. We will do our best to accommodate your request. Tuition must be paid in full prior to attendance. ATTENDANCE IS LIMITED. PRE-REGISTRATION WITH PAYMENT MUST BE MADE AT LEAST TWO WEEKS BEFORE THE START OF THE COURSE. THE FEE IS REFUNDABLE UP TO THAT POINT (A FEE IS CHARGED FOR LATER CANCELLATIONS). Lodging is available at nearby hotels. Attendees are responsible for their own room arrangements and should make reservations directly with the hotel. Pre-registration with payment must be made at least three weeks before the start of the course. The fee is refundable up to that point (a $600 fee is charged for later cancellations).